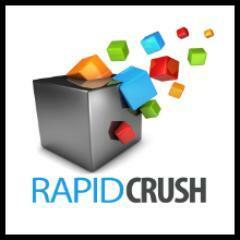 Rapid Crush is predominantly a remotely staffed organization. Planbox Work will be used by staff from the US and Philippines. Planbox Work has been integrated into the company’s daily workflow including an out of the box integration with the company’s issue tracking system called Zendesk. The integration with Zendesk was activated instantly on go-live without any customization. The company also plans to integrate Planbox Work with its affiliate management system (CapsuleCRM), its internal product management tool (called The Brain) and its asset management application (SnipeIT). “We spent time carefully evaluating solutions that stated they could meet – and solve – complex requirements. Planbox was the only solution that not only lived up to their claim, but exceeded our expectation. To make our decision even easier, Planbox did all of the things we needed out of the box with no investment in customization! None. Zero. We were able to turn it on and go to work! Planbox is now being integrated into our business to provide management and metrics for product development, customer support, internal tools development, WordPress theme support. I’m even running my projects as CEO in Planbox using the visual task board view,” said Doland White, CEO Rapid Crush, Inc.
We are world class persuasion experts with a combined 57 years of selling excellence. Rapid Crush, Inc. (www.rapidcrush.com) believes that great marketing can save the world. If your product or service provides great value then it needs to be in front of more people, and more people need to buy, and you need to dominate the market. We’re here to make that happen. Planbox is the pioneering provider of cloud-based Agile Work Innovation solutions – from creative ideas to winning projects. Our mission is to help organizations thrive by transforming the culture of agile work, continuous innovation and creativity across the entire organization. Our family of products include Collaborative Innovation Management, Team Decision Making, and Work Management applications. Planbox is designed to be the agile work innovation tool for everyone, built for companies and teams of all sizes and trusted by some of the world’s most recognized brands including Stanford, ERT, Philips, The Salvation Army and Verizon with millions of internal and external users. To learn more, visit: www.planbox.com and unleash your innovation butterfly.